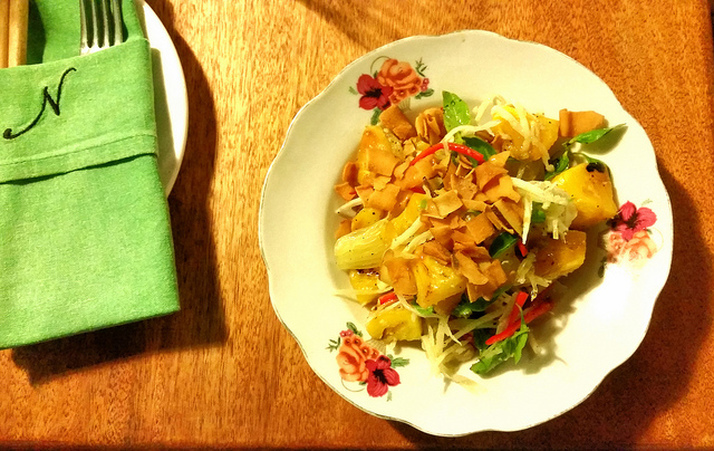 A simple two story restaurant dropped smack in the middle of Hoi An’s ancient town (near the Japanese bridge), offering small Vietnamese-inspired dishes that are expertly crafted. The poached beet and Sapa apple salad, the pumpkin and coconut milk soup, and the rice with grilled eggplant, daikon and mushrooms are all incredible choices. With a small 2-story dining room, the atmosphere is quaint and cozy and the staff are friendly and passionate. Check out our blog for details. End your meal with a scoop of homemade lemongrass or ginger ice cream for dessert and you'll walk home happy.